C.L.A.S.S., or Canine Life And Social Skills, has 3 “college” levels; this is the B.A. for dogs, Level 1. This class is ideal for those interested in Canine Good Citizen testing as well as developing therapy dog skills to visit hospitals and nursing homes. Your dog must be non-reactive (friendly or indifferent) to other dogs and people. Your dog should be 5 months of age and older. Ideally, your dog should have some basic obedience skills such as sit and down. Send your dog to college! You will have more fun with your dog, be able to go on more outings and do more activities when he or she possesses obedience skills and manners that are needed in the real world. This is also the first step in training your dog to be a therapy dog to visit hospitals and nursing homes. The My Dog Has C.L.A.S.S. (B.A. 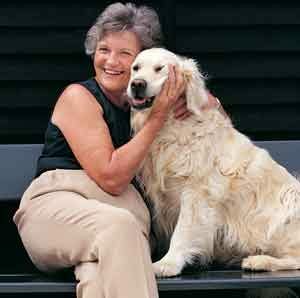 ), which stands for Canine Life And Social Skills, is the way to achieve or improve those skills. Using the skills learned in this class in everyday situations, a dog can become a well-behaved member of your household and a welcome part of society. Every level of the C.L.A.S.S. program (there are 3) has a formalized evaluation you can take to test your skills. The BA level test is similar to the AKC Canine Good Citizen (CGC) test. You will also have taken the first step toward the skills required to pass tests for therapy dog work. As humans, we have the tendency to notice and react when our dog is doing something we don’t like. In this class, we will show you how to improve your relationship by rewarding your dog for doing things you do like. When the communication is two-way, mutual trust is strong. We will use instructive training, telling our dog, without anger or force, what we would like him or her to do. Clear boundaries and rules will be set for our canine companions so they feel more secure knowing what’s expected, and flourish in the learning environment. What you need to work on. In week 6 a mock evaluation will be done so you will learn specifically what you need to work on for complete success at this level. The BA level class evaluation is governed by APDT (Association of Professional Dog Trainers) and ihas some similarities to the AKC Canine Good Citizen (CGC) test. It’s an evaluation of real-life skills. For those interested in passing the C.L.A.S.S. BA evaluation,Read the Student Handbook. This handbook also contains great information about dog behavior and training. Here is additional information about the C.L.A.S.S. Program and what it means for your furry family member. In the M.A. level, dogs are asked to walk past several dogs of different sizes, breeds and genders, to wait in the car before exiting, and to allow the owner to handle various parts of their body.